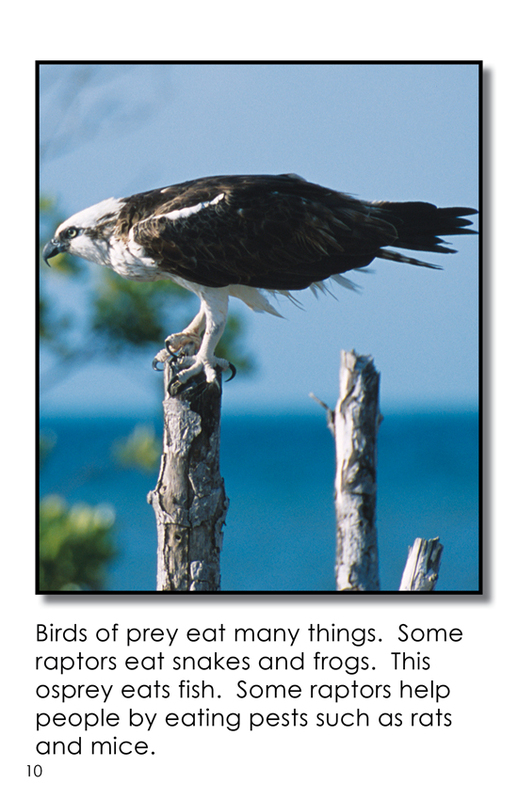 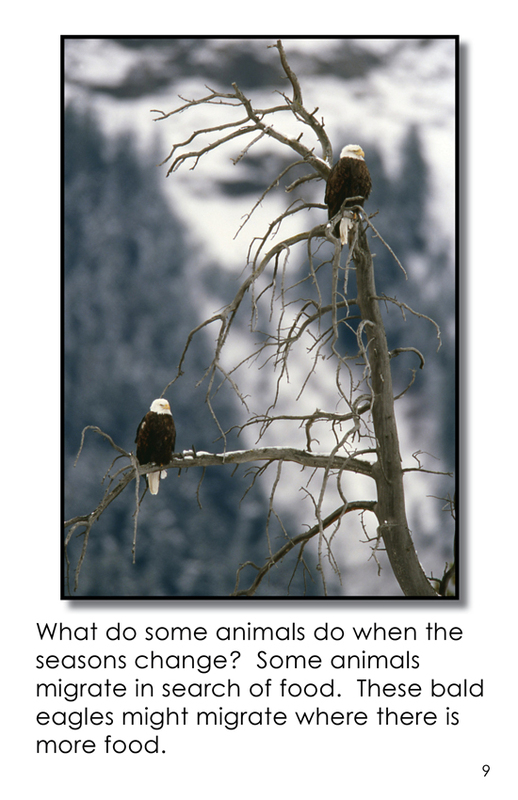 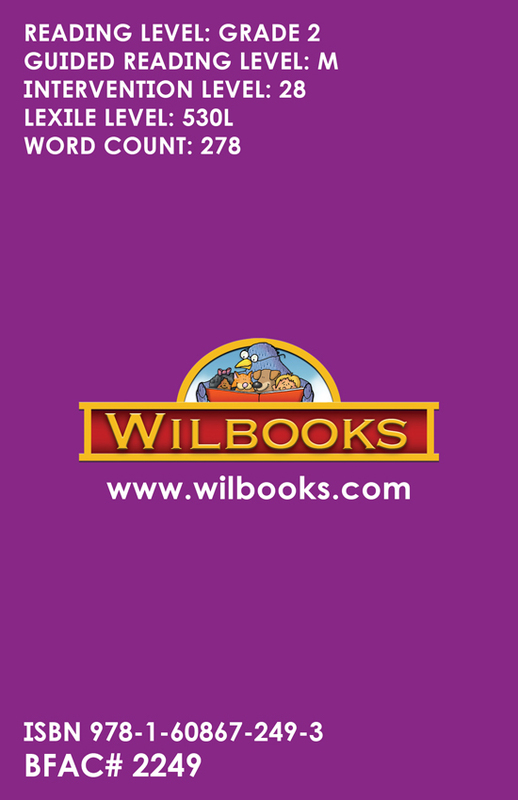 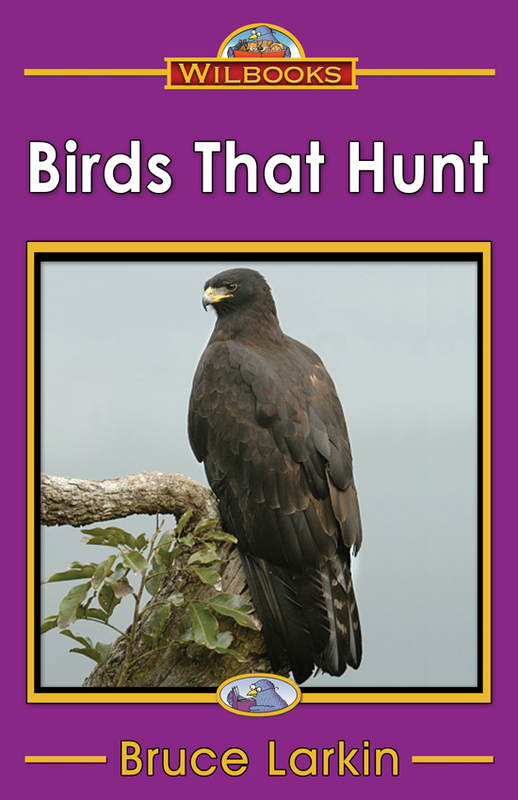 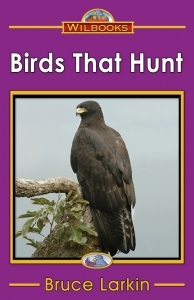 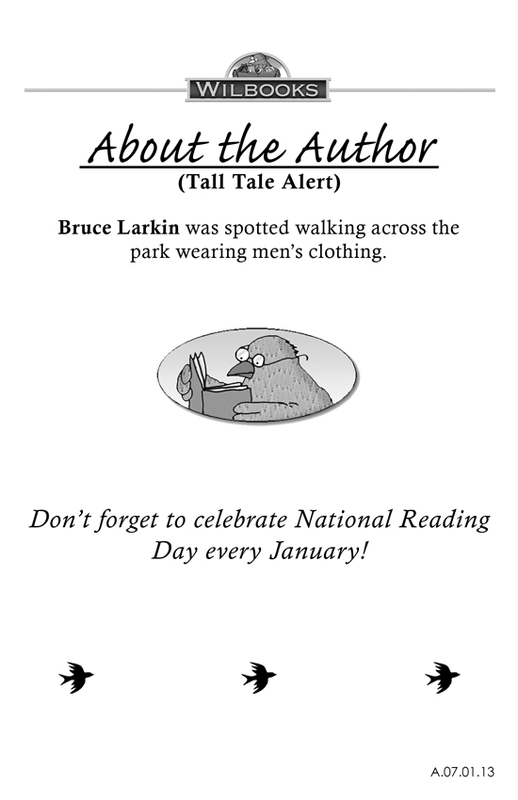 "Birds That Hunt" is a 12 page informational book for second grade readers. 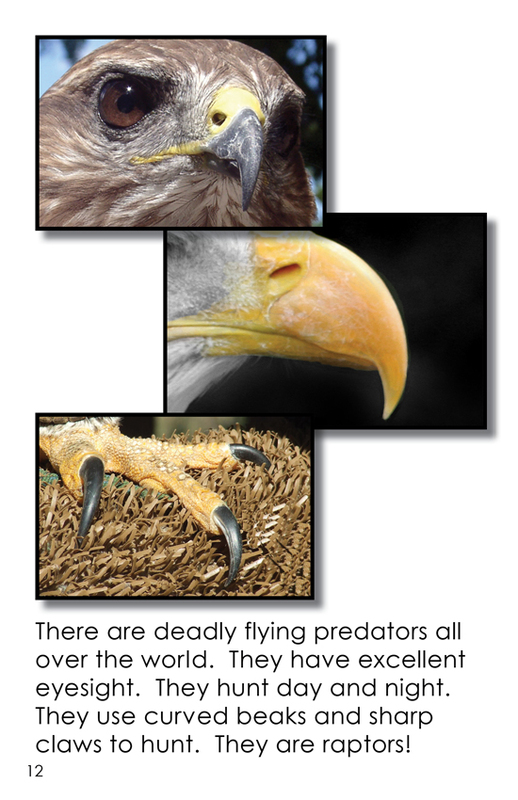 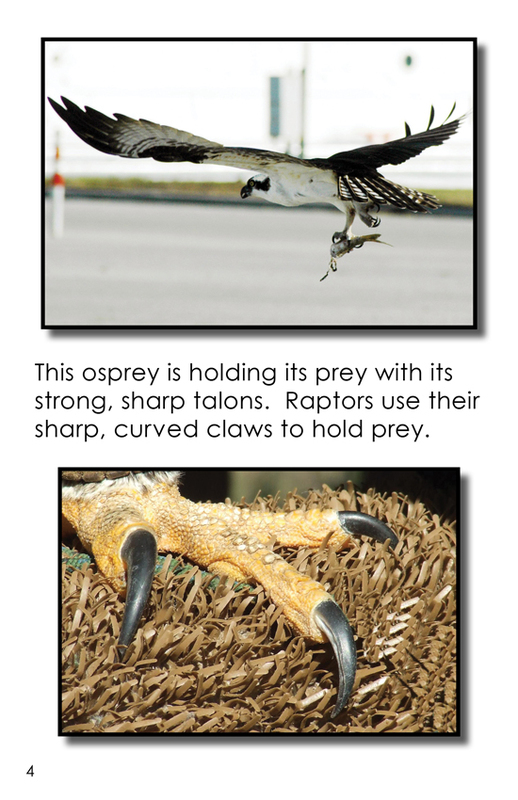 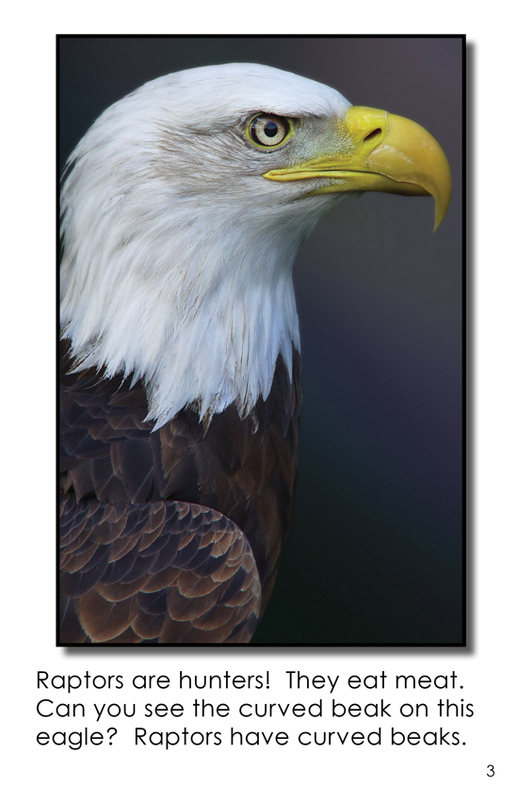 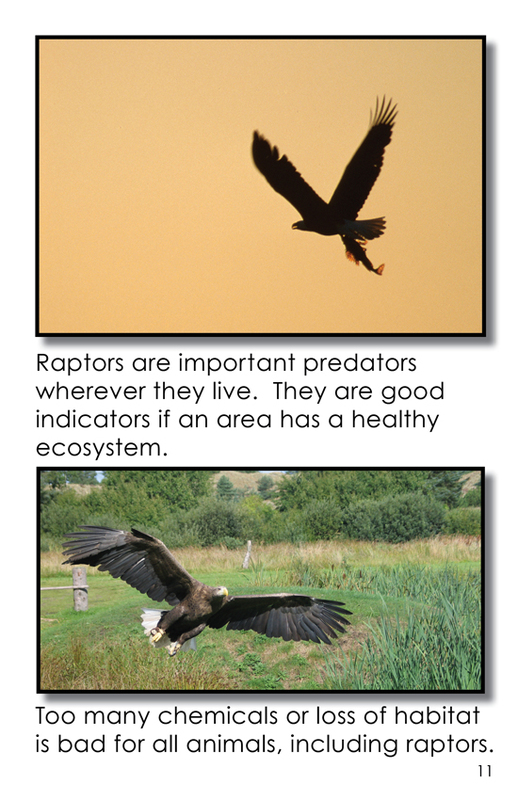 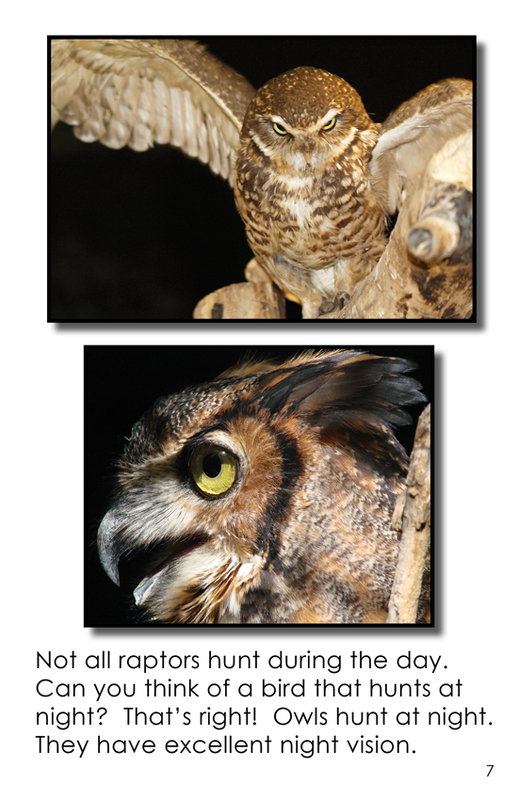 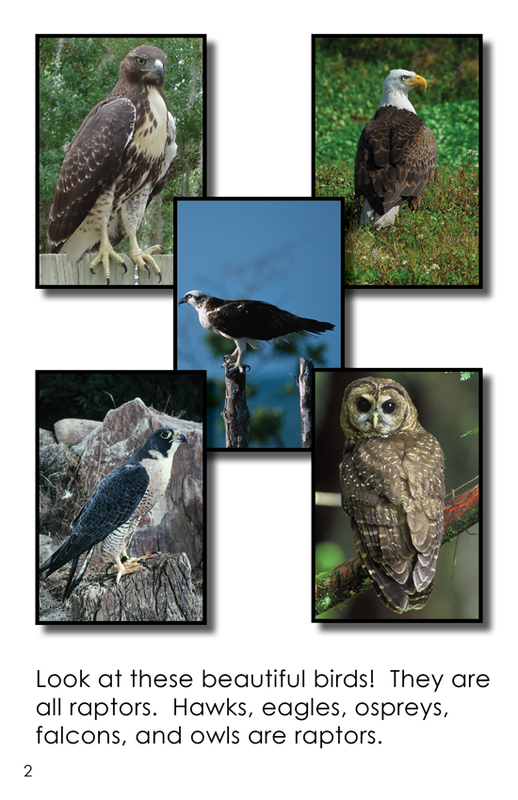 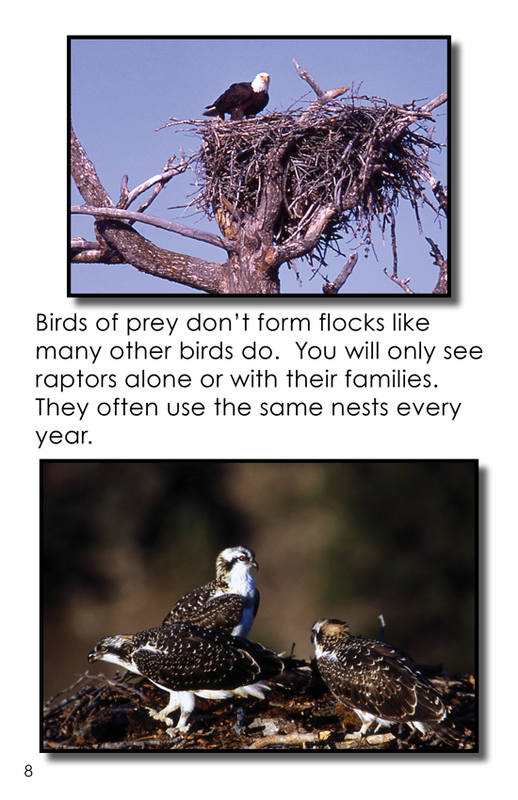 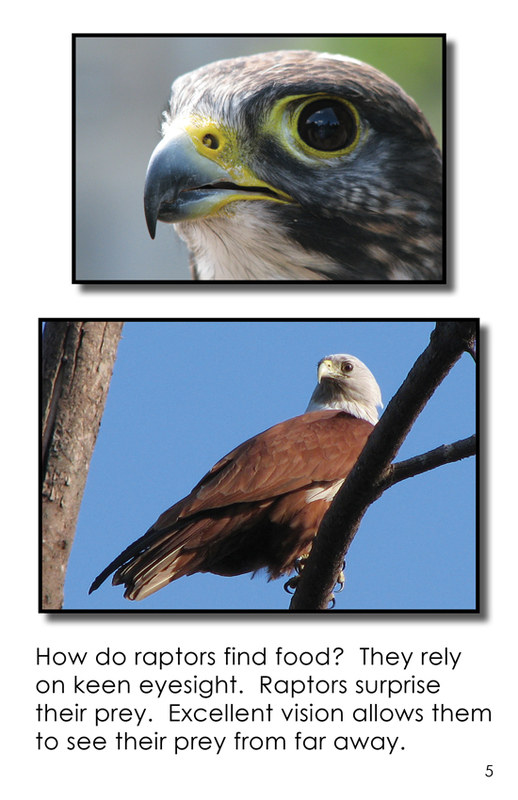 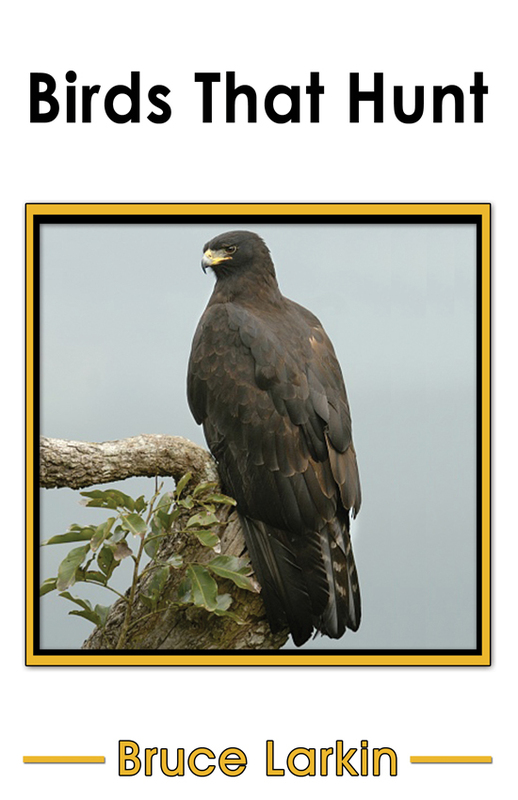 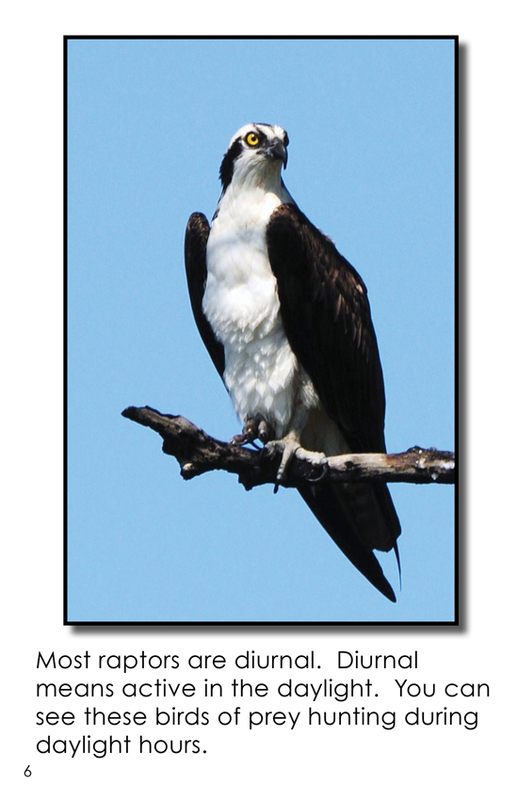 Through photos and text, this book describes the characteristics of raptors. 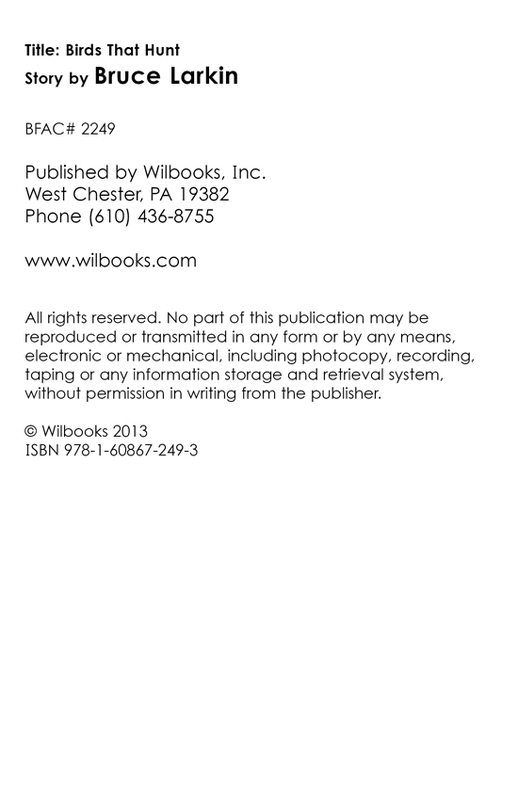 Page 12 is a review of the book.